Wear black and drink the gallery wine. Show so much tooth your lips stick to your gums. Know your work-in-progress is a masterpiece. Be open-minded about the frame. ← The Fine Art of Cantankery. Perfect, as always! What a lovely pair! Thank you. They’re siblings, but that might be obvious. 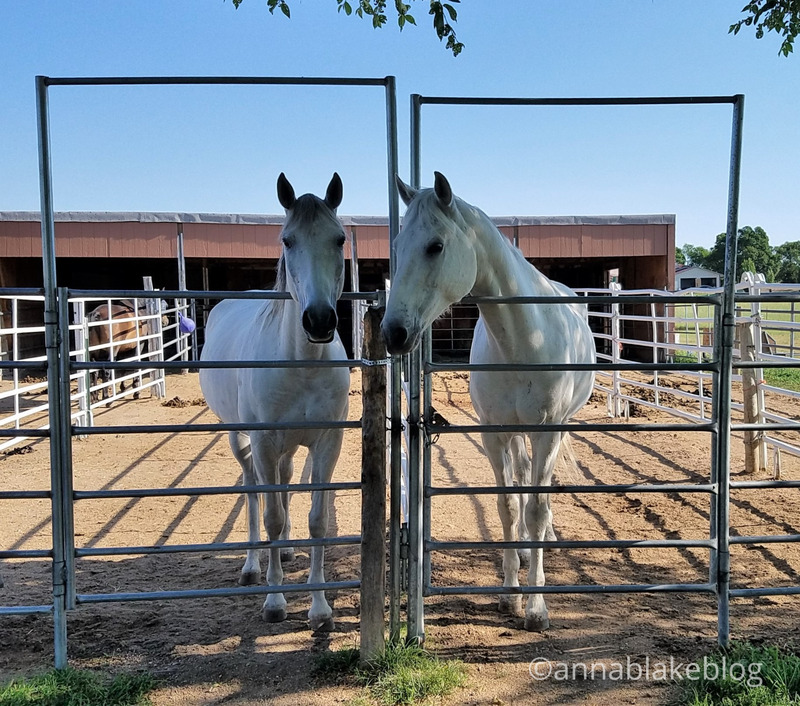 LOL Not to me–to my untrained (in detecting age or lineage of horses) it could have been mother/daughter, father/son, sire/dam, or just “some white rescued horses” for all I know. But nonetheless, it was still perfect, in a generally un-perfect world. Work in progress, rings a bit like “she has potential”, which both irks me (Can’t I ever be accomplished at something?) and is a reminder that I keep seeking out the next “thing” (which always includes at least one horse thing… okay many horse things). The online exercise coach was confessing that it’s always a struggle so best learn to be at peace with that, which is both “oh no” and reassuring. But a person does need puppy tummies and sunshine a lot of days. Love your take on the theme. They both look beautifully framed. Kinda like that one of the “frames” is crooked… thanks, Miriam. Anna…I so look forward to your essays, stories and photo blogs appearing in my e-mail box…the arrival always makes me smile before I open to read. Today’s especially gave me many chuckles! I am hoping you have another book in the works…and are enjoying the Colorado life!